The risks of smoking are being addressed in China, where roughly 300 million people or one quarter of the population are puffing away. 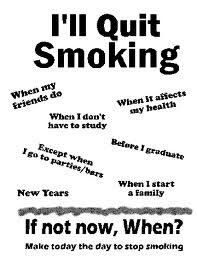 The number is rising by about 3 million new smokers each year, and according to statistics of the WHO 700,000 die each year from smoking. In November of 2003 China joined the Framework Convention on Tobacco Control (FCTC), a subsidiary of the World Health Organization. As a member China is now obliged to tighten restrictions on cigarette marketing and consumption. Due to an economic boom in the country foreign tobacco giants are putting their hope into this rising market, as revenue has decreased elsewhere in the world. So far tobacco taxes, which are collected from the 1.7 trillion cigarettes sold in China amount to 8 billion $US or one tenth of government revenue. In the wake of SARS, however, the realization has come to the forefront, that health care cost have a severe impact on the economy of a country. Despite the seemingly enticing short-term gain from tobacco tax revenue, short cuts in health care can economically damage a country in the long run. 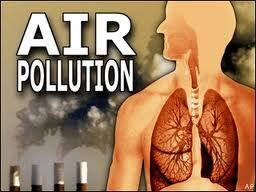 Health officials will have a battle with their counterparts in finance, when it comes to implementing tobacco control. In some areas of the country the sale of tobacco products to children has been banned and an attempt has been made to restrict cigarette commercials. Powerful tobacco lobby groups actively undermine these efforts. It is encouraging to see at least a beginning of public education about the risks of smoking. However, in a nation where cigarette manufacturing and consumption are the highest worldwide, it will be a long and arduous journey to clear the air to better health. According to an upcoming article in the December 15th issue of Cancer (Cancer 2003;98) a research group from the Harvard Medical School, Boston, under Dr. Brian Liu describes a micro-dissection method where prostatic tissue from 17 suspected cancer patients were examined with a spectroscopic method for a new protein marker, the cellular protein PCa-24). This was found to be positive in 16 of the 17 samples. In contrast, 12 patients with benign prostatic hyperplasia (also known as BPH or “benign prostatic hypertrophy”) showed no trace of this prostate cancer specific protein. As this protein is located inside the prostate cancer cell (it is a cellular protein), one has to obtain a tissue sample through a prostate biopsy. The group under Dr. Liu achieved this through laser capture micro-dissection Proteomics, which is the method that was used to characterize the prostate cancer specific protein (PCa-24), is briefly discussed under this link, but it is not necessary to understand all of the ramifications of these methods. What is important regarding the work by the group under Dr. Liu is to note that there is now a very reliable method available to distinguish between the harmless BPH condition and the deadly prostate cancer condition, which requires invasive therapy such as a radical prostatectomy. 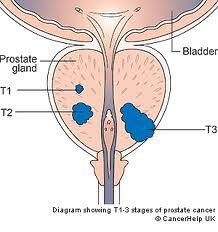 Both of these conditions can produce high prostate specific antigen (PSA) that can be detected in the blood. Dr. Liu’s group plans to develop antibodies to the PCa-24 protein so that eventually there will be a more specific blood test available that could be used in patients with high PSA levels to distinguish between benign and cancerous prostate conditions. In the future the physician might use the cheaper PSA screening test to screen for prostate abnormalities and use the more expensive antibody test against the PCa-24 protein that is being developed to determine whether or not prostate cancer might be the underlying cause. Dr. Liu also wants to develop a high resolution body scan where in the case of metastatic prostate cancer the cancer cells would be located exactly where they are with a new imaging technique. These would have a high probability of being specific for prostate cancer, as the antibodies would be highly specific against the prostate cancer protein. Here is a link to the Net Health Book’s chapter on prostate cancer. In the latest issue of the Lancet (Lancet 2003;362:414-415,419-427) a study from Great Britain was published regarding the risk of breast cancer. Over 1 million women were followed from 1996 to 2001. They were in the age group of 50 to 64. Of these 80% were postmenopausal, and these formed the basis of the study. Dr. Valerie Beral (from the Cancer Research group UK in Oxford) was the lead investigator. About half of the women were on various forms of hormone replacement therapy (HRT), the others were not and served as a control. Risks were always expressed in comparison to the controls without any hormone replacements. Here is a tabular summary of the various hormone replacement therapies and their risks of leading to breast cancer. The relative risk of developing breast cancer did not significantly change whether HRT was taken orally, transdermally or through implanted formulations. Tibolone is a synthetic steroid used for postmenopausal symptoms and treatment of endometriosis. Dr. Beral’s group has estimated that in Great Britain in the past 10 years about 20,000 additional cases of breast cancer were caused by HRT for menopause among women aged 50 to 64. Out of these about 75% were due to the use of the combination of estrogen/progestin. An accompanying editorial by Dr. Chris van Weel stated that “general practitioners should discourage HRT for their patients” and, if used, should last “no longer than 3-6 months”. The investigators of this study suggested that “discontinuing HRT should be suggested in as supportive a way as possible, because no one will benefit from panic or over-reaction”. Discussion: Please keep in mind that the British authors of this study were using the drug manufactured synthetic hormone-like substances and NOT bio-identical hormones. 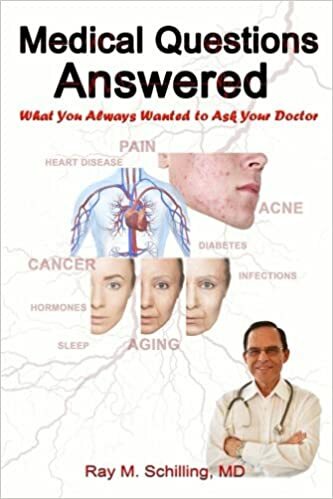 The outcome with bio-identical hormones would have shown the opposite, namely that women would not have developed heart attacks, strokes or cancer and they would not have died prematurely. 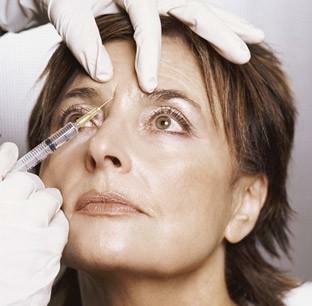 Read more about bio-identical hormone replacement in the links below. 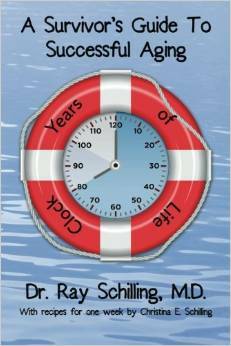 Here is a link to a chapter on menopause from Dr. Schilling’s Net Health Book. 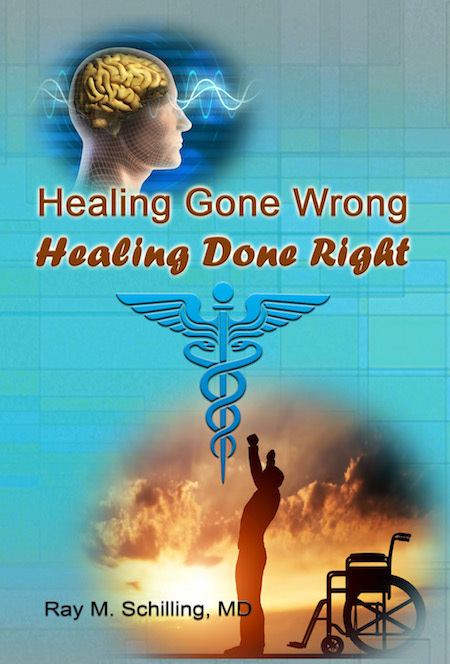 This link deals with bioidentical hormone replacement (see lower half of that page). A recent study released in the Journal of the American Medical Association (JAMA Vol. 289 No. 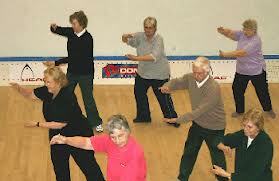 18, May 14, 2003) has found a profound effect of exercise on the survivial of elderly women. Dr. Gregg et al. have followed 9518 women aged 65 or older for a total of 12.5 years with a follow-up visit in between at about the 6 year point. They found that women who exercised (walking, aerobics etc.) and who were compared with a control group who was sedentary (no form of exercise), had the following improved survival rates. These findings were independent of other factors up to an age of 75 years. In other words, age, smoking, weight and a number of pre-existing diseases did not influence these improved survival figures from the effect of exercise. However, when a woman had a significant chronic disease or was older than 75 years of age, the survival improval from exercise was not as strong as indicated in the table above. Also, the follow-up visits showed that those women who exercised continually, had the highest survival advantage. The bottom line: increasing and maintaining a physical exercise program will likely lead to a longer life. At the same time the exercise program needs to be started early enough to be of benefit to those who are older than 75 years of age. Some of the Associations that were contributing to this important study were: The National Center for Chronic Disease Prevention and Health Promotion (Atlanta, Ga), the Graduate School of Public Health, University of Pittsburgh (Pittsburgh, Pa), the Prevention Sciences Group, Departments of Medicine and Epidemiology and Biostatistics, University of California (San Francisco) and the University of Minnesota and Section of General Internal Medicine, Veterans Affairs Medical Center, Minneapolis. When colon cancer comes back (Duke stage D cancer) there often are seedlings of cancer cells in the peritoneal cavity, which in the past made surgery impossible. However, at Montreal’s Maisonneuve-Rosemont Hospital the surgical oncologist, Dr. Pierre Dubé, is using a brand new technique that allows to do surgery even in these difficult cases. It has been known for some time that cancer cells are heat sensitive. At the time of the surgery all of the visible cancer is removed, like with ovarian cancer, using a cytoreductive surgery approach. At the end all invisible cancer cells are treated with a combination chemotherapy fluid that is introduced into the abdominal cavity and that is heated in a controlled manner. Heat probes measure the temperature and make sure the fluid is heated to 44°C (111°F). Other experiments have shown that at this temperature chemotherapeutic agents enter into the cancer cells faster, as they had been rendered more fragile by the heat. The end result is an increase in survival by 2 to 2 1/2 years. This is a breakthrough because in the past conventional combination chemotherapy for this group of advanced colorectal cancer patients achieved a remission (meaning “response rate”) of 0%. Now with this new technique there is a remission rate of 30% to 50%. Hyperthermic chemotherapy for colon cancer was pioneered at the Gustave Roussy Institute in Paris where Dr.Dubé was introduced to this technique. This was reported in the Jan. 14, 2003 edition of The Medical Post (page 7). According to Dr.Dubé about 10% of all colorectal cancer patients will need this type of surgical approach and about up to 25% of patients who develop cancer spread into the abdominal cavity (peritoneal carcinomatosis) would be potential candidates for this treatment modality. Comments: Recently there has been a paper intitled “Factors predicting survival after intraperitoneal hyperthermic chemotherapy with mitomycin C after cytoreductive surgery for patients with peritoneal carcinomatosis” by P.Shen et al. (Arch Surg – 01-JAN-2003; 138(1): 26-33). 109 patients with carcinomatosis of the abdominal cavity with different cancers were treated with cytoreductive surgery and hyperthermic chemotherapeutic solutions. With this procedure, after complete removal of gross cancerous disease, the 3-year survival rate achieved 68% versus 21% of those where gross cancer removal was not entirely possible. Dr. Keyomarsi, a researcher and radiation oncologist from the M.D. Anderson Cancer Institute in Houston/Texas, has published a very important piece of research in the New England Journal of Medicine (N Engl J Med 2002;347:1546-1547,1566-1575). 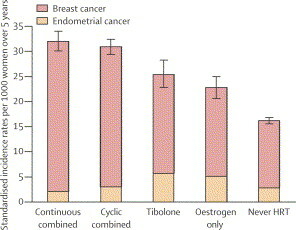 A group of 394 breast cancer patients were followed for 6.4 years and cyclin E was measured with a special blood test. Cyclin E is a key substance involved in cell division in general and also in breast cancer cells. Dr. Kyomarsi’s research showed that cyclin E, and in particular high levels of its socalled “truncated isoforms”, correlated very well with poor survival. On the other hand low cyclin E levels (truncated isoforms) were a powerful predictor for excellent survival. In the above mentioned breast cancer study 12 patients out of a group of stage 1 patients (= localized breast cancer) died after an average of 4.1 years from the point of diagnosis. All of these patients had high cyclin E levels. In contrast, none of the other stage 1 patients had died within 5 years from the diagnosis and all of their cyclin E levels were low. Other known risk factors for poor survival are lymph gland metastases, negative estrogen receptors on the surface of the cancer cells and late-stage disease. Each of those factors has a risk of about 1.7-fold. A high (truncated isoform) cyclin E level is associated with a 2.1-fold risk when compared to the low risk group with a low cyclin E level. There is a subgroup of breast cancer patients with high total cyclin E levels who have a risk of 13.3-fold of dying from breast cancer.